......A state of physical and mental wellbeing, a relaxed moment-to moment alertness, focus, balance, better ability to handle stress & make better and more empathetic decisions. Tai Chi has always been a powerfully mindful practice long before we coined the term "Mindfulness"
"Calmness precedes the motion and while in motion, calmness remains..."
"The mind must always remain aware." Wee Kee-Jin (2003) "Taijiquan Wuwei - a Natural Process"
“Workplace Mindfulness in Motion”: is a 5 week series of workshops. These 1 hour sessions will give you practical, convenient, inexpensive & sustainable tools to develop your mindfulness and thus benefit your workplace experience/performance. Learn simple, yet powerful, gentle, accessible standing exercises that promote calmness, deep relaxation, and a mindful focus in the present. These exercises are based on the time-tested internal art of Yang Style Tai Chi. They refresh you from fatigue, drowsiness, lethargy, a depressed mood & increase your energy levels naturally. In short, they are powerful tools to help you maximise the Mindfulness concepts taught in the Mindful Leadership workshop by cultivating the process of relaxation. Bill Cropper is the founder & principal of "The Change Forum" a Queensland-based independent consultancy specialising in designing innovative workplace improvement and culture change processes where leadership and organisational learning are keys to success. 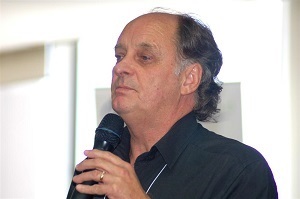 With a wealth of experience & skill, a genuine desire to help effect positive change, a pioneer in the field of workplace mindfulness in Australia, and a creative innovator - Bill Cropper has a lot to offer - contact him.